As you bathe in the gentle waters of the outdoor hot tub, wood crackles nearby on the open-air fire and the mood is one of complete well-being. Calcot Spa is not about gimmicks, just wonderful facilities and classic treatments, delivered to the highest standards by a team of professionals. All of these products have been created and tested by our skincare experts and aim to bring a little bit of Calcot Spa to you, wherever you are. Massage in a circular motion onto damp skin, rinse and pat gently with towel to dry. 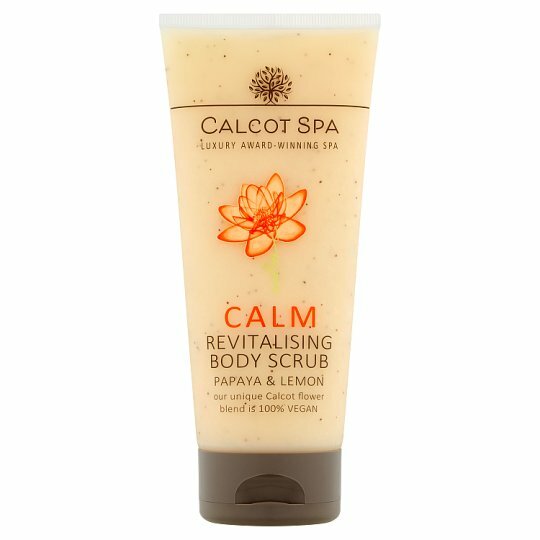 For more intensive exfoliation use on dry skin before showering.